This section of our website provides a digital venue for researchers to outline their projects, their findings, the implications of their project, and their plans for future research. We hope this will be a useful forum to initiate communication and collaboration. 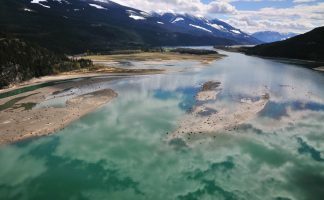 We welcome your information about any research project related to the ecology of southeastern British Columbia, including projects that are government, academic, corporate, or agency-based. Information shared here is owned by the person or company indicated. Please contact them for further information. Columbia Mountains Institute takes no responsibility for the quality of the scientific research in these projects. Click here to go to the listings. Listings are in categories and are searchable by keywords. If your research project is of interest to natural resource managers working in southeastern British Columbia, we invite you to share your information with us. Listing your project here is a benefit of membership in the Columbia Mountains Institute. Click here for membership information. Include photo credits for photographs. We are assuming that you have permission to send them to us. Click here for a list of more resources. Sound science in basic and applied ecology as verified by a team or person at CMI. In this situation, the term “research” includes monitoring studies as well as evaluations of natural resource management plans and actions and threats to natural capital. The research relates to flora, fauna, terrestrial and aquatic ecosystems, soils, air, or to human dimensions of natural resource management. Preferred emphasis: within the Canadian portion of the Columbia River watershed. Secondary emphasis: Research undertaken outside the Columbia River watershed that relates to the topics noted above. Research initiated after the year 2000. Please send us your suggestions for more sources! Send them to office@cmiae.org. Water use planning aims to find a sustainable balance between competing uses of water through a consultative planning process designed to consider environmental, social and economic values. This site has reports from water use planning projects for BC Hydro’s hydroelectric facilities located in the Southern Interior. This Institute is developing a database of regional information. Includes State of the Basin reports and data. The Atlas has been developed with geographic information system technology to provide information on biodiversity and help people learn, understand, and make decisions. Includes reports from the Fish and Wildlife Compensation Program (1983-2011). The BC Ministry of Forest, Lands and Natural Resource Operations has made reports produced under FIA available at this site. BC’s Ministry of Forests, Lands and Natural Resource Operations established the Future Forest Ecosystems Scientific Council (FFESC) in 2008 to guide the allocation of a $5.5 million grant-in-aid to research that supports the objectives of the Future Forest Ecosystems Initiative – namely, adaptation of the forest and range management framework to climate change. The FFESC is a cooperative council comprising representatives of the Ministry of Forests, Lands and Natural Resource Operations, the Ministry of Environment,the University of British Columbia, and the University of Northern British Columbia. The FFESC wrapped up its research program in 2012. A synthesis of FFESC research and policy recommendations is posted on this web site. The Pacific Climate Impacts Consortium is a regional climate service centre at the University of Victoria that provides practical information on the physical impacts of climate variability and change in the Pacific and Yukon Region of Canada. They collaborate with climate researchers and regional stakeholders to produce knowledge and tools in support of long-term planning. The Sustainable Forest Management Network is an incorporated non-profit Canadian research group. SFM is a Network for Centres of Excellence. With their partners, they fund, plann, conduct, and apply interdisciplinary, university-based research that addressed issues related to sustainable forest management. Be sure to review the “Recommended Links” section of the CMI web site. This section of our website many more smaller directories and portals to information.